Below you can view all the condos for sale in the Broadstone At Desrt Shores subdivision located in Las Vegas Nevada. Listings in Broadstone At Desrt Shores are updated daily from data we receive from the Las Vegas multiple listing service. To learn more about any of these condos or to receive custom notifications when a new property is listed for sale in Broadstone At Desrt Shores, give us a call at 702-323-5926. 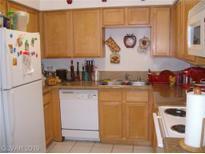 Downstairs unit with 1 bedroom and 1 bathroom, granite counter in the kitchen, located in a guard gated community. MLS#2088940. eXp Realty. Close To Shopping, Restaurants, & Entertainment.Do Not Miss This One! Will Not Last! MLS#2086338. Flat Fee Pros. 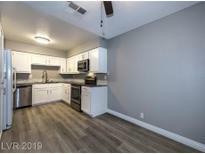 Home includes laminate flooring throughout, new paint, beautiful granite kitchen countertop, stainless steel appliances, and upgraded bathrooms MLS#2085589. Vice Realty. New Listing In Desert Shores, 3 Bedroom + 2 Bathrooms , Newpaint , New Carpet, 1109 Square Feet, Nice Condo Community On Soaring Gulls, Lots Of Ammenities In The Condo Complex, This Unit Makes A Great Rental Or Owner Occupy, Largest Unit In The Complex , 1st Floor, Hurry MLS#2085340. General Realty Group Inc.
PRISTINE DESERT SHORES SUMMER SURPRISE!NOT REO/ SHORTSALE.Spacious 1Bedroom +1Full Bathroom.Open/Airy Kitchen.New Paint,New Blinds,New Kitchen Ceiling Fan,Newer Laminate Floors "0"Carpet.Balcony Off Large Livingroom Area.WasherDryer Off Balcony Room.Enjoy Vegas Best Kept Secret Walking Distance To Desert Shores Lakes.Access To Desert Shores Beach ,Paddle Boats,Fishing,Playground,Restaurants On Water.1 Assigned Carport. MLS#2084557. O'Harmony Realty LLC. There are 2 pools and clubhouse with exercise room. MLS#2084032. Simply Vegas. There are 2 pools and clubhouse with exercise room. MLS#2084235. Simply Vegas. It is close to shopping, transportation, park, lake, and easy access to Highway 95. MLS#2081743. Nevada Real Estate Corp. The location is close to shopping, transportation, park and lake, and easy access to Highway 95. MLS#2081742. Nevada Real Estate Corp.
Easy access to US-95 & I-215 West MLS#2081693. Las Vegas Realty LLC. The location of the community is close to shopping, transportation, park with lake, and easy access to Highway 95. MLS#2080048. Nevada Real Estate Corp. This is a corner unit with ample daylight inside. MLS#2080029. Nevada Real Estate Corp.
Tenant in place to make it a great investment purchase. MLS#2079435. BHHS Nevada Properties. Must see and no rent restrictions if investors. MLS#2077017. Premier Real Estate. Great south facing unit. Tenant occupied. MLS#2077014. Premier Real Estate. There are 2 pools and clubhouse with exercise room. MLS#2072961. Simply Vegas. Great Shape Will Not Last Long!! ! MLS#2070689. Realty ONE Group, Inc.
Property may need some TLC. Property sold "as-is". MLS#2069198. Property Management of LV, LLC. Access to beach and recreation facilities in Desert Shores community. MLS#2070177. Property Management of LV, LLC. Large Balcony With Storage Area! A Must See! MLS#2070181. Property Management of LV, LLC. Community pool, spa, clubhouse, and exercise room. MLS#2064883. Xpand Realty & Property Manage. Community pool, spa, clubhouse, and exercise room. MLS#2059351. iProperties International. Community pool, park, and gym along with common area maintenance are part of the HOA. MLS#2053382. OD Nevada Brokerage, LLC. Grand master suite w/ spa like retreat! Move-in ready!! ! MLS#2053476. Maxim Properties. Perfect starter home or retirement condo. MLS#2045223. Coldwell Banker Premier.